When I’m in Northern Jutland, this is by far one of my favorite spots to visit with a camera. You can find it by clicking on the map below, that will take you to Google Maps, with a pin when this photo was made. 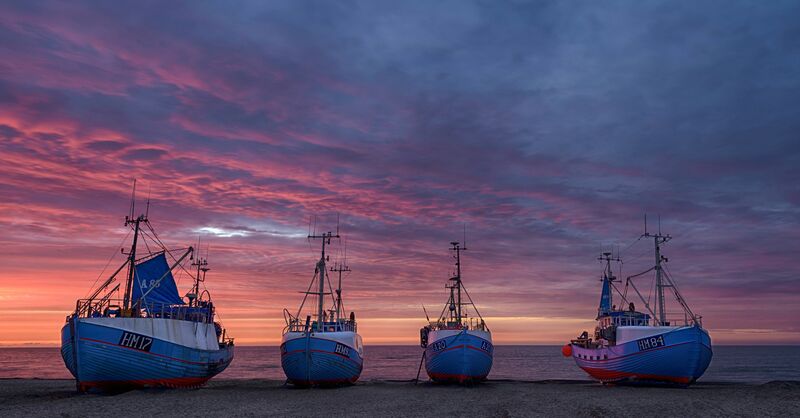 Four boats on a beach at sunset by Bo47 is licensed under a Creative Commons Attribution-NonCommercial-NoDerivatives 4.0 International License. Previous articleThe last days of 2016Next article Happy New Year!